It’s not every day you walk past your toilet and are met with a pair of eyes. But that was the startling predicament Virginia Beach resident James Hooper found himself in last week. 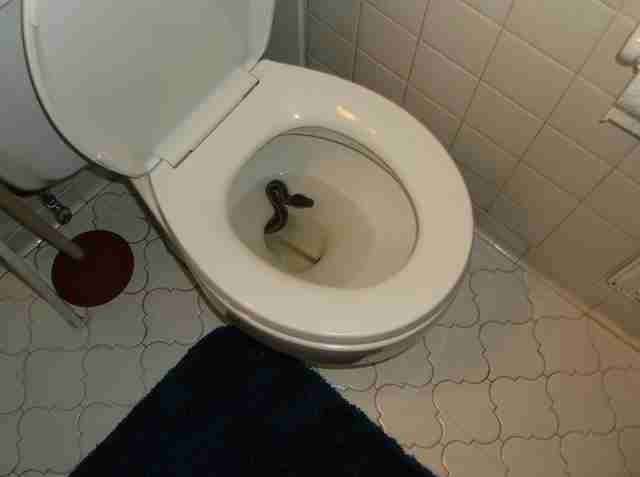 There was a snake slithering out of his toilet. Not knowing at the time what kind of snake she was, Hooper and his roommate, Kenny Spruill, hatched a plan to safely collect the reptile from the toilet. They cast a piece of looped fishing line around the animal from a distance and reeled her in just enough to pull her out. 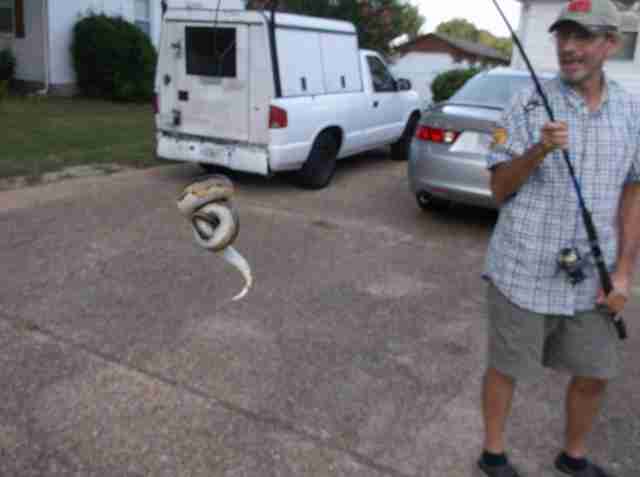 Given how large the snake was, Hooper admits he wanted to secure her as fast as possible as to avoid any run-ins with his four Chihuahuas. In the meantime, they called animal control to help them sort out what to do next. 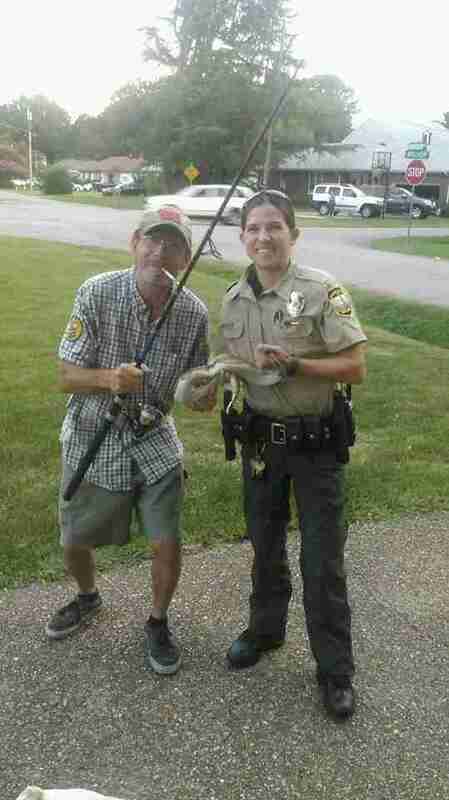 The officer arrived soon after and identified the snake as a ball python — a nonvenomous species often kept as a pet. As it turns out, the snake did, in fact, belong to someone. While the animal control officer believes the snake snuck into the house somehow, Hooper thinks she came up through the sewer system. It’s not uncommon for snakes to follow mice or rats into sewers — and sometimes, they may slither their way up into toilet pipes. After this wild encounter, Hooper now has an important life lesson that’ll stay with him wherever he goes. “Look before you sit,” he said with a laugh.